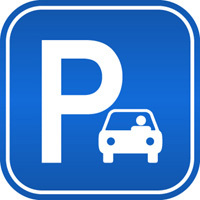 Convenient parking is available at two locations. OPTION #2: To the northeast of the starting line is the Broadway Garage, bordered by Hill, 12th, Broadway and Pico (150 W. 12th St., LA--enter on Pico). The first 100 cars to enter park for FREE and anyone after that receives the rate of $5/car (cash only). This parking option is about a 10-minute walk to the start line.